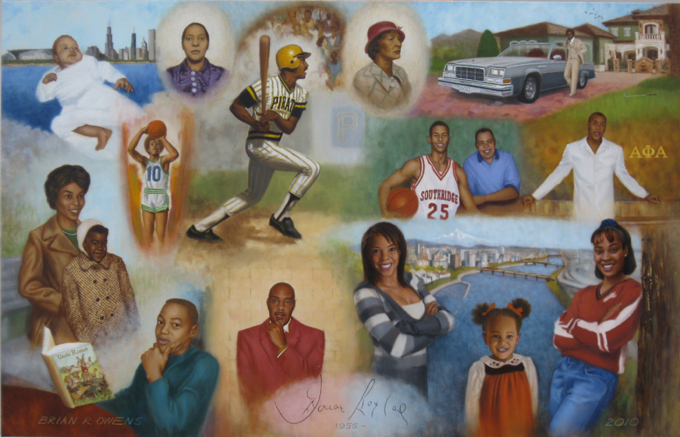 This is a montage oil painting commissioned by entreprenuer Dorian Boyland (long retired from the Pittsburgh Pirates) that is based largely on portrait photos that he provided. 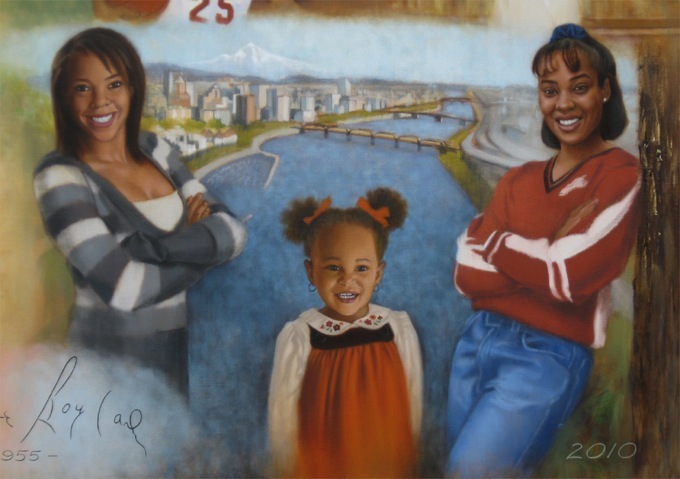 Working from photos is common for this type of painting, usually because they are complex and also because a montage often depends on specific memories that the client associates with certain photos. From the beginning, the client was very clear: He wanted a dense, energetic painting with lots of details that you might not notice at first glance. 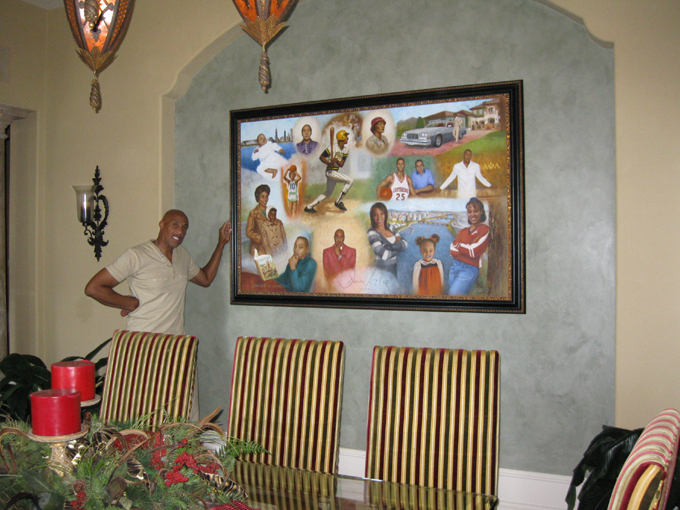 He wanted it to be fun to look at, to center around his life but also include his family. So, I started with a sketch and kept refining the sketch until it was to his liking. This sketch was small, but "drawn to scale" to take the guess-work out of it. This took some time but the process was fairly straightforward, because the client had such a bright, direct sense of what he liked and did not like. "Begin with the end in mind". Mr. Boyland saw the painting evolve, mostly from photographs that I had sent. It was delivered to his frame shop where he saw it completed - with his own eyes - for the first time. Click on the button below to hear the message he left on my cell. Small Works, a collection of very small paintings, is an assortment of small acrylics on illustration board including nudes, streetscapes, brazilian dancers and fantasies drawn from Owens' dreams. These are only a few of the paintings available.